Medical pathologists, also known simply as pathologists, are physicians who are trained to investigate the cause and effect of diseases or injuries. They do so mainly through the analysis of organ, tissue, blood, or body fluid samples. Medical pathologists are broadly classified as either anatomical or clinical pathologists. Anatomical pathologists perform visual, microscopic, and molecular analyses of tissues, organs, and whole bodies (such as during an autopsy). Clinical pathologists diagnose disease based mainly on the lab analyses of blood, urine, and other body fluids. Pathologists who practice both anatomical and clinical pathology are known as general pathologists. Pathologists require extensive education and training, comprised of four years of college, four years of medical school, and three to four years in a pathology residency program. The majority of pathologists will pursue additional training with a one- to two-year fellowship in a pathology subspecialty. Medical pathology is not constrained to a single disease, population, or organ system. It is a field of medicine whose practitioners identify the cause and effect of illness so that patients can be accurately and effectively treated. Pathologists are often considered a "doctor's doctor" because they assist doctors in making diagnoses and the appropriate treatment decisions. Although anatomical and clinical pathologists work in similar environments and have similar diagnostic goals, there are key differences in the professions. Anatomical pathologists center their investigations on tissues and organs. Historically, the practice was largely devoted to post-mortem investigations but today includes a variety of procedures to diagnose diseases, like cancer, based on the analyses of surgical specimens. Anatomical pathologists conduct tests to determine the specific cause of a disease, the results of which have a more direct impact on patient care. Clinical pathologists diagnose disease based on the analysis of body fluids or cells obtained from tissue extracts. 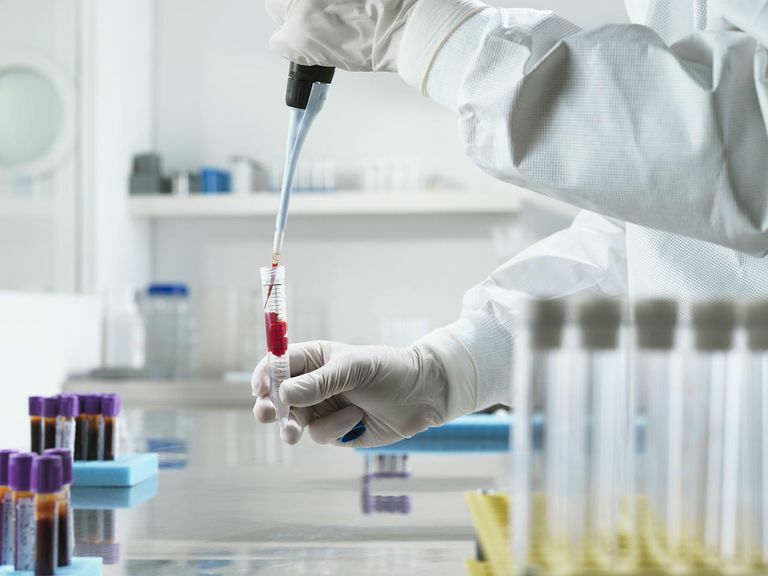 Clinical pathology is the specialty whose tests are more familiar to the general public, such as a complete blood count, urinalysis, blood glucose test, and throat culture. Compared to anatomical pathologists, clinical pathologists perform more routine tests that aid in, rather than direct, the diagnosis. Individually, the tests results have less of a direct impact on patient care. Because their roles and functions are so distinctive, anatomical and clinical pathologist will rely on different tools and techniques. Although there will be some overlap in procedures (particularly molecular and genetic testing), many of the tools used are specific to specimens being analyzed. Because the clinical applications of pathology are so vast, it is not uncommon for pathologists to seek further training to specialize in a specific field of practice. One subspeciality shared by anatomical and clinical pathologists is molecular genetic pathology, an emerging field devoted to the diagnosis of disease through the examination of molecules in organs, tissues, and body fluids. Many of these specialists will go on to become medical examiners and coroners or to work in genetics labs and medical research facilities. To become a pathologist, you must first get a bachelor's degree from an accredited college. You do not need to pursue in any specific major but must complete the required pre-medical courses, including biology, physics, English, and social sciences. You would also need to take the Medical Competency Aptitude Test (MCAT) a year before graduating, which most medical schools use to select students. The first two years of medical school are devoted primarily to classroom studies. The second two years is comprised of clinical rotations in hospitals and medical facilities to gain broad exposure to the different fields of medicine. Upon graduating, you would be awarded a degree as either a doctor of medicine (MD) or a doctor of osteopathic medicine (DO), depending on the medical school you were enrolled in. To begin practicing, you would need to get a medical license in your state. Licensing requirements vary, but most states require you to pass a national exam and, in some states, an additional state exam. Applicants with an MD degree must pass the U.S. Medical Licensing Examination (USMLE), while those with a DO degree must complete the Comprehensive Osteopathic Medical Licensing Examination (COMLEX). Upon attainment of your license, you would next begin a three-year residency program in either anatomical or clinical pathology. There are around 145 accredited programs nationwide. You can also opt to train in a combined four-year program in anatomical and clinical pathology (AP/CP). Upon the completion of residency, most pathologists will obtain board certification from the American Board of Pathology (ABP) by passing a written and practical exam. Those who do tend to have more job opportunities. ABP certification must be renewed every 10 years, during which time you must maintain a certain number of study hours by participating in accredited continuing medical education (CME) programs. If you are considering a career in pathology, the job prospects appear excellent given the ongoing shortage of practitioners in all fields of practice. According to a 2018 study in Academic Pathology, there will likely be an acute gap in filling positions by 2030 as more and more senior pathologists reach retirement age. Pathology is generally less stressful than other medical professions since you don't see patients and work relatively normal office hours. As such, the job can afford a pathologist a better work-life balance along with respectable remuneration. According to the annual Medscape Pathologist Compensation Report, medical pathologists earned an average salary of $286,000 in 2018. Those who operated a private or group practice had an earning potential closer to $375,000. Duraiyan, J.; Govindarajan, R.; Kaliyappan, K. et al. Applications of immunohistochemistry. J Pharm Bioallied Sci. 2012 Aug;4(Suppl 2): S307-S309. DOI: 10.4103/0975-7406.100281. Guarner, J.; Hill, C.; Caliendo, A. Career Panel for Pathology Residents: Going Beyond the Core Curriculum. Amer J Clin Pathol. 2014;141(4):478-81. DOI: 10.1309/AJCPEANOYD9Y7GEC. Johnson, R. The American Board of Pathology’s Maintenance of Certification Program Update. Arch Pathol Lab Med. 2014 Apr;138:512-17. DOI: 10.5858/ arpa.2013-0362-RA. Lorenz, R.; Karcher, D.; and Gautreaux, M. The Pathology Workforce and Clinical Licensure: The Role of the PhD Clinical Laboratorian in the United States. Acad Pathol.2018;5:2374289518775948. DOI: 10.1177/2374289518775948. Petriceks, A. and Salmi, D. Trends in Pathology Grad Programs and Positions, 2001 to 2017. Acad Pathol. 2018 Jan-Dec; 5:2374289518765457. DOI: 10.1177/2374289518765457.